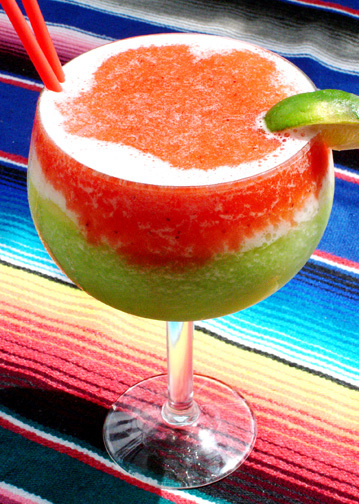 Celebrate at Casa Sol y Mar or let us cater your at-home fiesta. 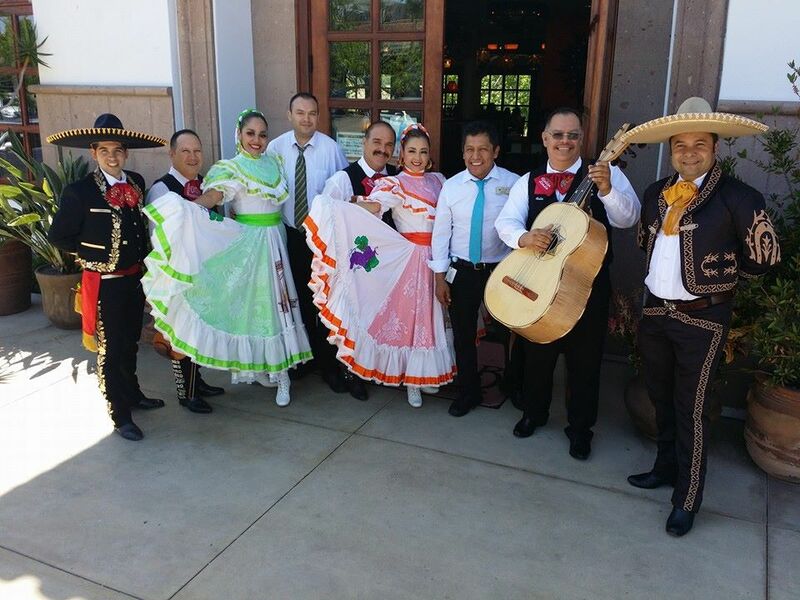 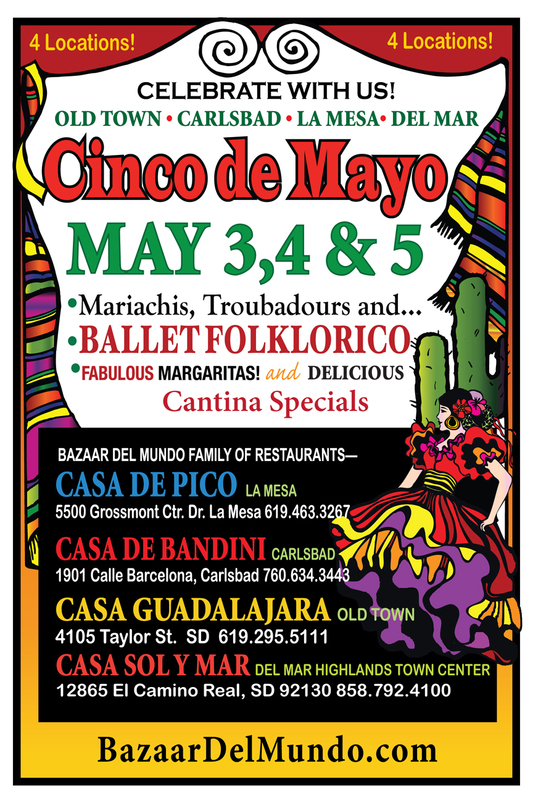 Join us at Casa Sol y Mar May 3-5 for several days of strolling mariachis and Folkloric dancers, tasty food, and drink specials! 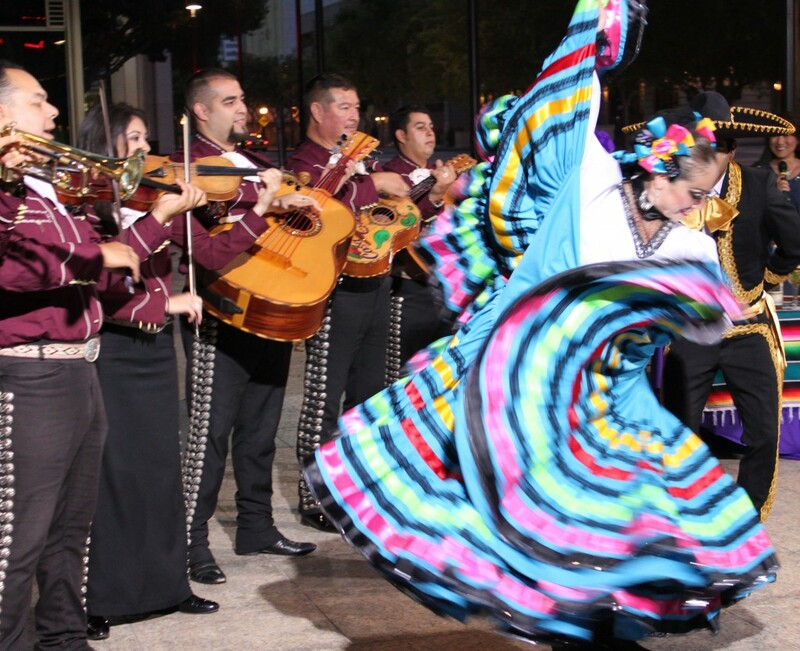 Festive entertainment Saturday, Sunday and Monday will include Ballet Folklorico at 1 p.m., 4 p.m. and 6 p.m., and mariachis from 1-9 p.m.
On Monday during happy hour from 4-7 p.m. in the Cantina, guests will enjoy promotional giveaways from Dos Equis, Pacífico and Negra Modelo, as well as house margaritas for $3.95. 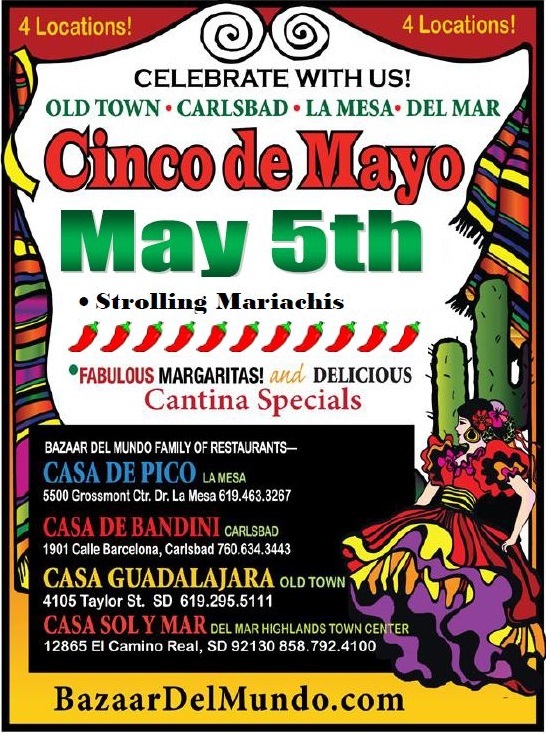 Featured food and drink specials include the Cincorita Margarita – a combination of strawberry, lemon-lime and kiwi, in layers of green, white and red, paying homage to the Mexican flag – and Enchiladas Banderas – a savory sampling of chicken, cheese and beef enchiladas served with three different sauces – verde, blanca and rojas (green, white and red).